/ Our Wonder Core Smart review – does it work? The Wonder Core Smart from Thane is one of the most popular exercise machines around at the moment. It can happen that some of these machines can be a bit of a fad, not helped by the adverts for them which can be very ‘shopping channel’ and cheesy! So there can often be a worry about whether it works at all as well. Our Wonder Core Smart review will hopefully put some of these worries at ease and will inform you all about the product and whether it is for you or not. If you are looking for that flat tummy or six pack will it help you? 2 So how does the product hold up and does it do what it says? The Wonder Core does more than just make you do a sit up. Sit ups done on their own can cause problems in your neck or back if you don’t do them properly and to be honest aren’t a very efficient way of doing them. Using this machine not only supports you as you do the machine but the tension and design of it means that you’re using your muscles as you come up and as you come down. How it works is that there’s two ‘arms’ that you can set the resistance of. You sit on the machine with the arms at the back and use that as a guide go up and down. As you need to push the arms to go back down you’re using more muscles and doing probably close to twice the amount of exercise that you’d do just doing sit ups on their own. Other core exercises that you can do with this machine are using it to do a bridge. You keep the machine under you and the machine arms at your lower back. You use the resistance as you lower yourself and push yourself up to work your core muscles. Don’t worry though, the machine comes with an exercise booklet and also a DVD so you can get the workouts just right. 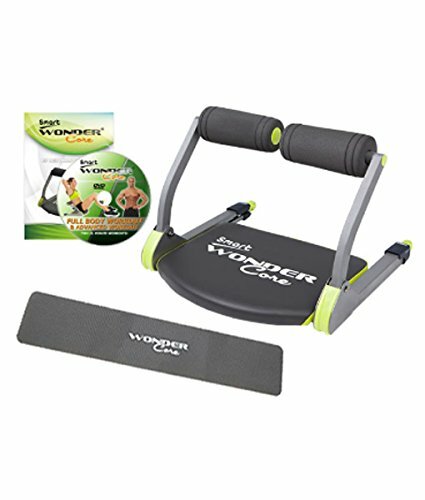 As stated above the Wonder Core Smart is good for sit ups and for bridge exercises. But that’s just 2 of the six that it says you can do so what else is there? This is where the machine is good as an all rounder and starts to provide some serious value for money. You can work your legs by doing scissor kick workouts and you can work your arms by doing tricep, bicep and forearm workouts. By placing your legs on the resistance arms you can also do push ups. So how does the product hold up and does it do what it says? The big question is does the Wonder Core Smart work? As I said before this is a really popular product lately and as such there are many reviews on Amazon so you can get a good all round view of whether it’s good or not. At the time of writing there were over 500 reviews there and it gave the item a strong 4.5 out of 5 rating. The main benefits of the machine is the ease of use. It’s perfect to bring out when your favourite TV show is on and do a workout while watching something. It’s quiet so it’s not going to interrupt your viewing like a bike or rowing machine would. It also doesn’t take up much space which again makes it perfect for storing nearby ready to just pull out and make a start with whenever the fancy takes you. Some of the negative reviews seem to have come from people having been sent a similar product from other manufacturers – definitely make sure that you’re getting the original kind. The maker is Thanes. 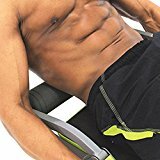 Overall I think this is a very decent home exercise machine that can really help you to turn your dreams of having a six pack in to reality. Yes it does require some real determination to keep it up, but that’s just like any other home exercise item. The price is decent, not too cheap that you’ll throw it in the cupboard and forget about it, but enough that you’ll be wanting to give it a real go.